Bruce Polquin will meet with White House advisers regarding a push to turn land owned by businesswoman Roxanne Quimby into a national monument. WASHINGTON, D.C. — U.S. Rep. Bruce Poliquin seeks to meet with White House officials to offset efforts by the family of entrepreneur Roxanne Quimby to turn land east of Baxter State Park into a federal monument, he said Thursday. “I am requesting this meeting because I fear that the voices of the local residents — my constituents — are not being heard at the White House,” Poliquin states in a two-page letter dated Thursday to Christy Goldfuss, managing director of the White House Council on Environmental Quality. The council advises the president on environmental matters. Only Congress can create national parks, but the president can designate national monuments through executive orders. Leading park proponent Lucas St. Clair, Quimby’s son, has been lobbying to have President Barack Obama designate approximately 87,500 acres a national monument as a step toward making the land a national park. Documents released in November by the U.S. Department of the Interior show that George Cooper, a lobbyist employed by a public policy consulting firm, had been working on behalf of the park effort since April 13, 2015. “It is clear to us that the majority of the people in his district and in the state support this proposal,” Farmer said in reference to an independent statewide poll in October 2011 that showed that 60 percent of Mainers support a park. In the letter, Poliquin, who represents Maine’s Second Congressional District, incorrectly describes the poll showing 60 percent support as paid for by park proponents. Poliquin spokesman Brendan Conley clarified late Thursday that the letter should have referred to a May 2015 poll that St. Clair commissioned which claimed that 67 percent of 500 district respondents favored the proposed 150,000-acre national park and recreation area. “The two official votes in Medway and East Millinocket reflect the voices of those who actually live in the Katahdin region and should be given great weight,” Poliquin added. Poliquin submitted to Congress in late November a bill seeking to limit President Barack Obama’s ability to designate national monuments without first receiving approval from host governors and state legislatures. It has been referred to the House Natural Resources Committee, officials said. Representatives from the offices of Sens. 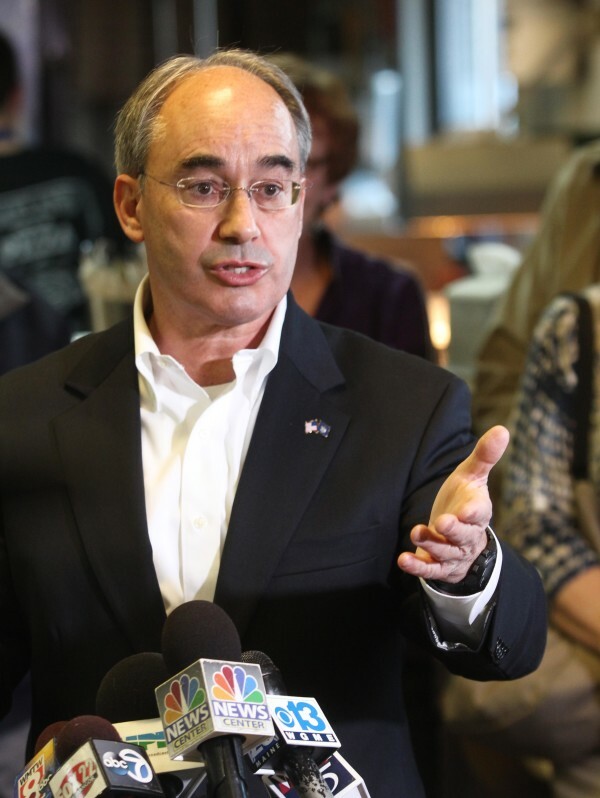 Susan Collins, R-Maine, and Angus King, I-Maine, said in a joint statement that the senators would not be attending Poliquin’s meeting with Goldfuss but that they hoped it would be productive. In November, the senators joined Poliquin in expressing “serious reservations” about the monument proposal.